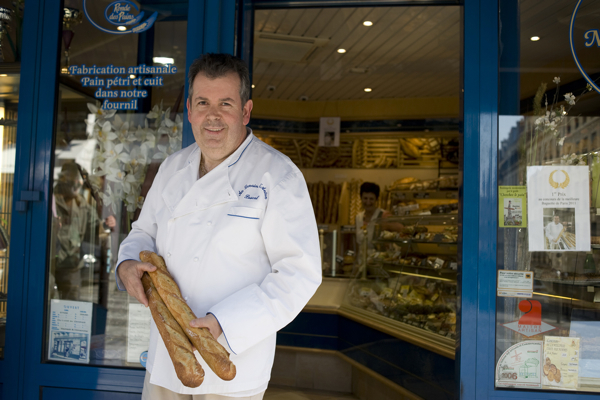 No idea where to buy the best baguette in Paris? Trust the experts. 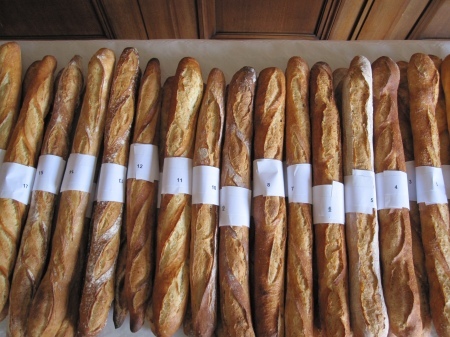 Every year the jury at the Baker’s Guild chooses “la meilleure baguette de Paris”. And the winner is: Pascal Barillon at “Au Levain d’antan” in Montmartre. Looks as if Montmartre is the place to be when you are a baguette addict: a first and forth place this year, a first last year. This is what I call being spoilt for choice. As Meg Zimbeck from Paris by Mouth perfectly resumes: “In the last five years, bakeries in the 18th scored more top ten placement than in any other arrondissement.” Here is her map with the award winning bakeries of the last years. 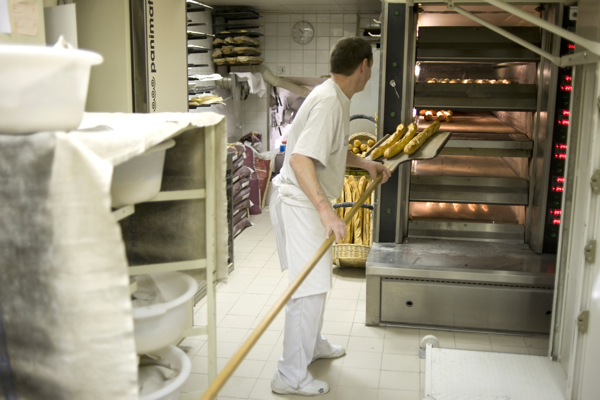 Yesterday morning, 174 bakers, among them Pascal Barillon, delivered their freshly baked bread at Quai d’Anjou, one of the most prestigious addresses in Paris commanding great views on the banks of Seine river. Number 7 is an ancient tin-roofed building tucked on beautiful Ile St. Louis dating back almost 400 years. The Chamber of Boulangers moved in 1843, and right here, on the second floor, they chose the best baguette yesterday afternoon. The competition is much more than folklore, believe me, it’s a pretty serious affair: The winner is entitled to supply the Elysée Palace, the French president’s office, throughout that year. The champion becomes what was called a “Purveyor to the Court” in the days before the revolution. 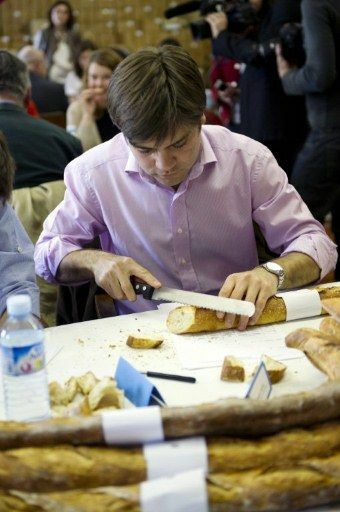 Apart from this honour (and the good chance that real kings and queens will chew on his bread) there’s more to be won for the baker of the year: He who can boast that he makes the best baguette in Paris will get the full attention of the public, newspaper coverage, free publicity, and he will see his sales and profits rocket. That’s why you can call Pascal Barillon a happy man. In the business since 1974, he sees this award as a “personal recognition” after long years of work. “It’s important for us, for the whole team because this award is a result of team work”, Mr. Barillon said just after he got the news. “This award was always our goal”, his wife, Marie-Noëlle, added. Do you know where they met? In a bakery, where else. Trop beau!